"Combined with our expansions in LaPorte, Indiana and Hampton, Virginia and our growing 3D printing capabilities, this investment will give Alcoa the broadest capabilities to deliver high-quality titanium, nickel and 3D-printed parts for the world’s bestselling jet engines." NEW YORK & WHITEHALL, Mich.--(BUSINESS WIRE)--Lightweight, high-performance metals leader Alcoa (NYSE:AA) is investing $22 million in Hot Isostatic Pressing (HIP) technology at its facility in Whitehall, Michigan. The investment will enable Alcoa to capture growing demand for advanced titanium, nickel and 3D-printed parts for the world’s bestselling jet engines. Steep ramp-up rates for narrow- and wide-body aircraft engines—the top-selling jet engines in the world—are increasing Alcoa’s need for such capabilities. HIP involves the simultaneous application of high pressure and temperatures to significantly improve the mechanical properties and quality of cast products, such as blades and structures for jet engines. In addition, the process increases the density of 3D-printed parts made using powdered metals, improving product consistency, strength and lifespan. All titanium, 3D-printed and some nickel parts used for jet engines must be treated using the HIP process. Alcoa already owns and operates one of the world’s largest HIP technology complexes for aerospace. This investment will expand Alcoa’s capabilities even further, enabling it to process its largest jet engine parts in-house. Through expansions in LaPorte, Indiana and Hampton, Virginia, and by expanding its 3D printing capabilities, Alcoa is extending its product range for next generation narrow- and wide-body aircraft engines, increasing its need for HIP capabilities. With this investment, Alcoa will be able to process any cast jet engine product in its current portfolio. Alcoa is installing this new technology at its Alcoa Power and Propulsion facility in Whitehall, Michigan and expects it will be ready for product qualification in 2016. Alcoa’s eight other HIP production systems are also located in Whitehall, where it has a concentration of engineering and technical resources. Alcoa pioneered this technology in the aviation industry in 1973, and moved its first unit from Battelle Laboratory to Whitehall in 1975. Demonstrating its support for the expansion, the City of Whitehall has approved a 12-year Industrial Facilities Tax Exemption valued at over $1,000,000. This investment supports Alcoa’s strategy to build its value-add business for profitable growth and greater innovation in the aerospace market. The Company expects robust global aerospace sales growth of 9 to 10 percent in 2015 driven by strong deliveries across the large commercial aircraft, regional jet and business jet segments and sees a current 9-year production order book at 2014 delivery rates. Alcoa Power and Propulsion is expected to generate $2.2 billion in revenues by 2016 as a result of its organic growth expansions. 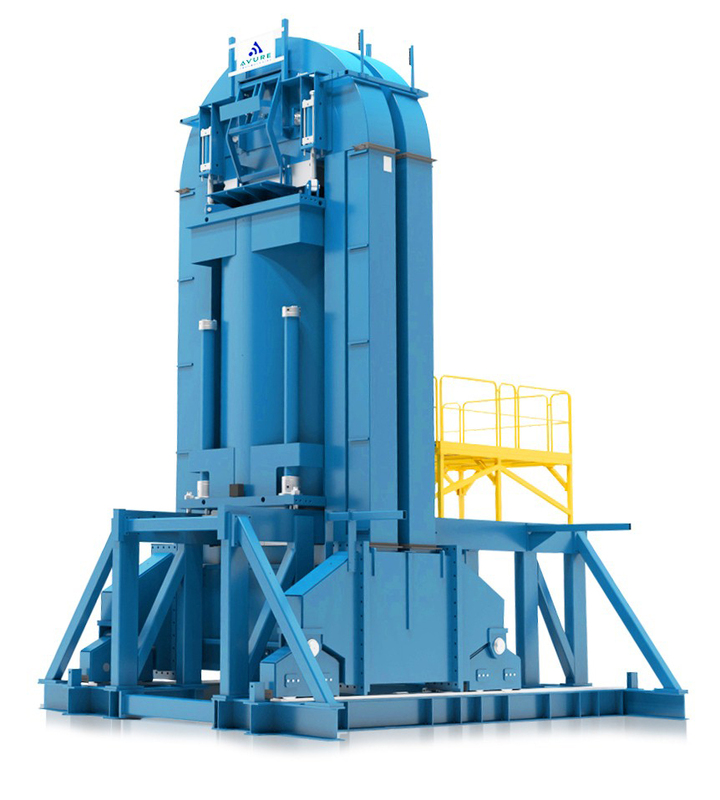 Editor’s Note: Caption for accompanying photo: Alcoa is investing $22 million in Whitehall, Michigan for Hot Isostatic Pressing (HIP) technology which strengthens the metallic structure of titanium, nickel and 3D-printed jet engine parts. Alcoa Power and Propulsion, a major business unit of Alcoa, is the number one supplier of nickel-based superalloy airfoils for jet engine and industrial gas turbine applications. It is also a leading supplier of structural castings made of titanium, aluminum and superalloys for aero engines and airframes. Additional value-add products and services include additive manufacturing, vacuum melted alloys, advanced airfoil coatings and machining, hot isostatic pressing and research and development. With 20 global production facilities, Alcoa Power and Propulsion employs more than 9,500 people worldwide. This release contains “forward-looking statements” within the meaning of the Private Securities Litigation Reform Act of 1995. Forward-looking statements include those containing such words as “estimates,” “expects,” “projects,” “sees,” “should,” “will,” or other words of similar meaning. 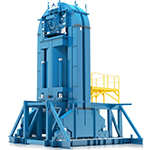 All statements that reflect Alcoa’s expectations, assumptions, or projections about the future other than statements of historical fact are forward-looking statements, including, without limitation, statements regarding the benefits of Alcoa’s advancements in aerospace technology; the expected timing for product qualification of Hot Isostatic Pressing technology at the Alcoa Power and Propulsion facility in Whitehall, Michigan; forecasts concerning demand growth in the commercial aerospace sector; and statements regarding Alcoa’s strategies, outlook, and business and financial prospects. Forward-looking statements are not guarantees of future performance and are subject to risks, uncertainties, and changes in circumstances that are difficult to predict. 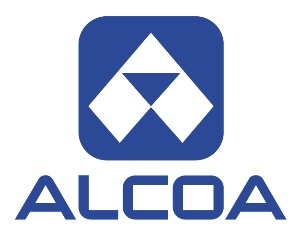 Important factors that could cause actual results to differ materially from those expressed or implied in the forward-looking statements include: (a) unfavorable changes in general economic conditions or in the markets served by Alcoa, including the aerospace market; (b) failure to successfully implement, or to realize expected benefits from, new technologies, investments, capacity expansions, or advanced manufacturing processes, including Hot Isostatic Pressing technology, or other innovative products and solutions, whether due to competitive developments, changes in the regulatory environment, trends and developments in the aerospace, metals engineering and manufacturing sectors, or other factors; (c) Alcoa’s inability to achieve the level of revenue growth anticipated from its organic growth expansions in its value-add businesses; and (d) the other risk factors discussed in Alcoa’s Form 10-K for the year ended December 31, 2014, and other reports filed with the Securities and Exchange Commission. 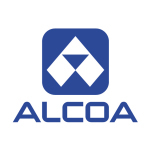 Alcoa disclaims any intention or obligation to update publicly any forward-looking statements, whether in response to new information, future events or otherwise, except as required by applicable law.